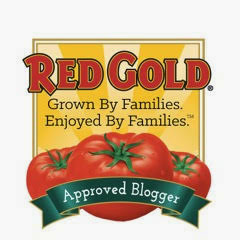 The Weekend Gourmet: Wendy's Favorite Things for September! For this month's edition of Wendy's Favorite Things, I'm sharing some of the best food and kitchen items that I've discovered over the past few weeks. I'm sharing a trio of great on-the-go snack options for you -- along with a fabulous condiment, low-sugar beverage, gourmet jams, and a pair of fabulous kitchen helpers. So...let's get started!! (1) Not Ketchup. I first tasted Not Ketchup at the Food & Wine Conference in July. I went nuts for Erika Kerekes' line of fruit-based dipping sauces that contain no processed sugar, no artificial flavors or colors, and no preservatives. 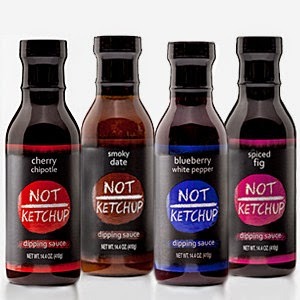 Not Ketchup is a tangy gourmet dipping sauce made with ripe seasonal fruit instead of tomatoes. Not Ketchup isn't sweet, though. Thanks to the addition of cider vinegar and savory spices, Not Ketchup is tangy like ketchup -- with a fruity twist. This versatile sauce comes in four flavors: Cherry Chipotle, Blueberry White Pepper, Smoky Date, and Spiced Fig. I love using the Spiced Fig to dress up simple grilled chicken sandwiches. I brush some of the Not Ketchup on the chicken as it grills, then spread more on the bun before serving. I'm not the only one who's gone nuts for Erika's sauces -- Not Ketchup is a finalist in the Martha Stewart 2014 American Made Awards!! Not Ketchup can be ordered via their online store. It can also be found at select retail locations. (2) Strong & KIND Bars. The makers of KIND Bars recently introduced Strong & KIND, a line of savory bars to their lineup of fruit-based bars. These savory and spicy bars feature bold flavors, as well as 1o grams of protein. Check out these flavors: Hickory Smoked, Thai Sweet Chili, Honey Smoked BBQ, Honey Mustard, and Roasted Jalapeño. Strong & KIND bars are 22% protein and contain a combination of nuts, legumes, and seeds. These tasty and healthy ingredients include almonds, pumpkin and hemp seeds, pea crisps, and bold spices. I love to keep one of these bars in my bag for an after-work snack that keeps me going until dinner. The bold flavors make these bars guy-friendly too! All of the flavors are great, but I especially love the Roasted Jalapeño -- it's not overly spicy, but it packs a big flavor punch. To find Strong & KIND Bars near you, check out their convenient Store Locator. If no stores near you carry these bars, they can also be ordered online. 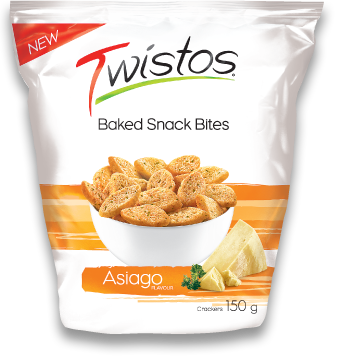 (3) Twistos Baked Snack Bites. With football season here, I'm always on the lookout for new game day snacks. I recently discovered Frito-Lay's new Twistos Baked Snack Bites, and they were a big hit with everyone who tasted them! They come in three flavorful varieties: Parmesan & Garlic, Bruschetta, and Asiago. Unlike chips, Twistos are baked until they're light and crispy -- and they're not at all greasy. I served two kinds of Twistos with paired dippers, and they were a big hit. I served the Asiago flavor with garlic hummus, and I paired the Parmesan & Garlic with a store-boght soft garlic & herb spreadable cheese. The Twistos were sturdy enough for dipping, and they are a perfect bite-sized treat. I also love to use the Bruschetta flavor as a crouton in my Caesar salads! (4) The Royal Gourmet Jams, Marmalade, and Preserves. This line of small-batch artisan jams is made in Florida, and they offer a wide variety of creative flavors based on seasonal Florida-grown fruits. 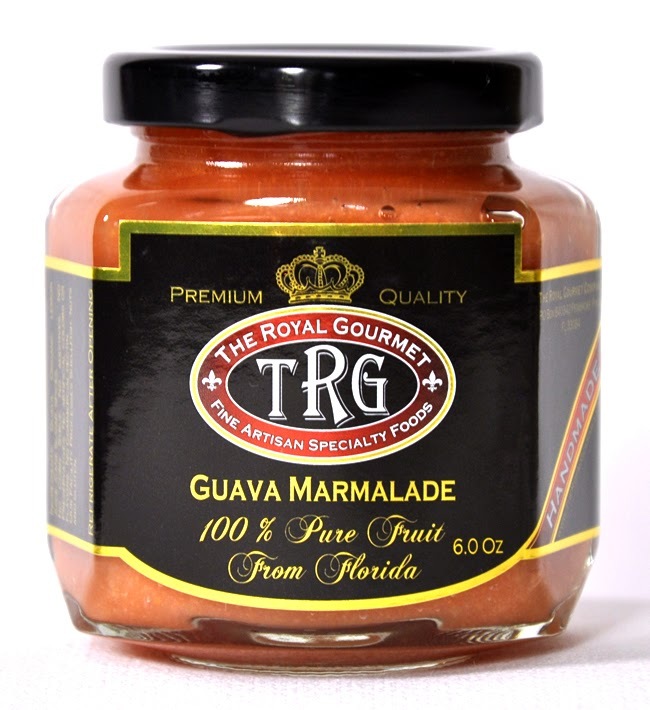 The Royal Gourmet's all-natural products feature intense fruit flavors -- and they don't contain corn syrup, additives, preservatives, or artificial colorings and flavors. What I especially love is that they offer unique flavors that I don't normally see, including Brandied Blueberry Jam and Balsamic Strawberry Jam. My personal favorite is the sweetly tart, smooth Guava Marmalade. I first tasted guava a couple of years ago and quickly fell for its intensely tart flavor. This marmalade is a great balance of sweet and tart. I especially love to toast a bagel, then top it with cream cheese and some of this Guava Marmalade -- so indulgent! The Royal Gourmet products can be ordered online at the company's website. (5) thinkThin Lean Protein & Fiber Bars. 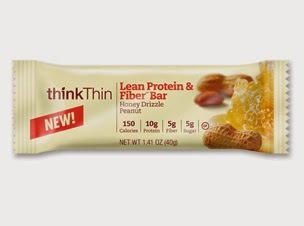 This Summer, thinkThin launched a new line of Lean Protein & Fiber Bars. With a one-two punch of protein and fiber, these bars are an excellent post-workout snack or at-work breakfast. My life is go-go-go, so I keep one of these bars in my desk or bag for when I find myself feeling hungry away from home. Each 150-calorie bar contains 10 grams energy-boosting protein, 5 grams of hunger-busting fiber, and just 5 grams of sugar. These thinkThin Lean Protein & Fiber Bars come in fun flavors like Cinnamon Bun White Chocolate and Salted Caramel. My personal favorite is the Honey Drizzle Peanut. Because of the fiber content, I make sure to pair these bars with a bottle of water. Afterward, I find my hunger satisfied for 2-3 hours. 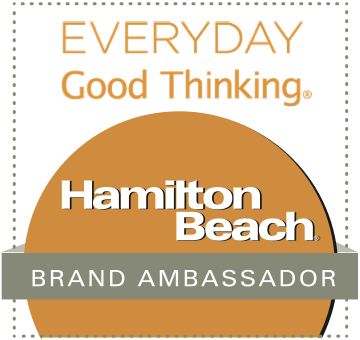 These thinkThin Lean Protein & Fiber Bars can be found at major retailers across the county. (6) Mrs. Meyer's Clean Day Kitchen Basics Set. If you're like me and have never used Mrs. Meyer's products in your kitchen, do what I recently did: give it a try! I've been using their three-product Kitchen Basics Set for a few weeks, and I've been really impressed! Not only do the products make my kitchen clean -- they make it smell amazing in the process! Mrs. Meyer's Earth-friendly products are made with plant-derived ingredients and essential oils. 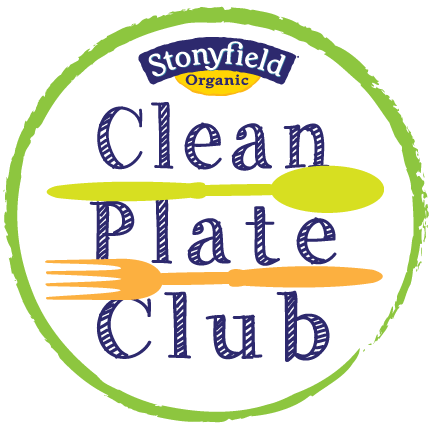 Their products do not contain chlorine bleach, ammonia, petroleum distillates, paragons, phosphates, or phthalates. The Kitchen Basics Set is the perfect introduction to their products. It contains Liquid Hand Soap, Liquid Dish Soap, and Multi-Surface Everyday Cleaner. This set comes in a broad range of scents, but my favorite is the refreshing Lemon Verbena. It smells so good that I actually enjoy cleaning my kitchen counters after dinner in the evening! 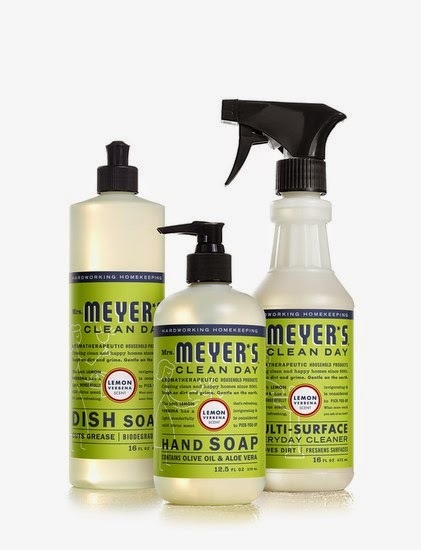 To find a store near you that sell's Mrs. Meyer's products, visit their online store locator. (7) LO Fruit Beverage. 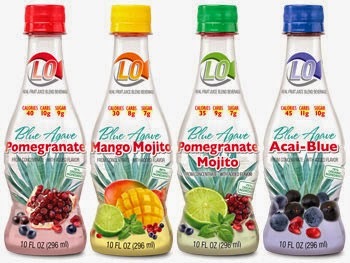 LO Fruit Beverage is a low-glycemic real fruit beverage that is sweetened with organic blue agave and plant-derived stevia. Each 10-ounce bottle averages just 35-45 calories, and it tastes really good! There are four flavors to choose from: Pomegranate, Mango Mojito, Pomegranate Mojito, and Acai-Blue. I enjoy a bottle of chilled LO in the car on my way to work, and I love that it doesn't give me a sugar rush. I also love to use LO as a mixer with my favorite zero-calorie lemon-lime soda to make a low-cal fruity spritzer. LO Fruit Beverage can be found at major retailers across the country. (8) BerryBreeze. How many times has this happened to you? 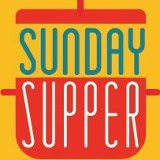 You purchase beautiful fresh produce and store it in the fridge...and it spoils before you have a chance to use it all. Despite my best intention, that kind of waste happens to me far too often...especially with strawberries. I recently placed a BerryBreeze machine in my fridge, and I'm finding that my produce lasts so much longer than simply storing it in my fridge! BerryBreeze is a battery-operated unit that utilizes a patented timing sequence to release a constant level of activated oxygen in your fridge. The activated oxygen neutralizes bacteria, mold, and other microbes by inhibiting ethylene gas -- the gas that triggers decay. As a result, fruits and vegetables stay fresher for up to 10 days longer than normal, on average. BerryBreeze is 5 inches wide by 5.2 inches tall, and it runs on four AA batteries. 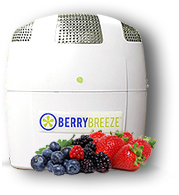 To purchase a BerryBreeze unit, visit their website. It is also available at select Whole Foods locations.